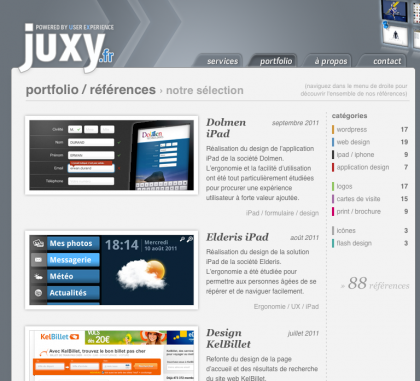 Portfolio update › juxy . : design consulting agency :. blog / what's up ? After some busy weeks, it was time for updating our references. More than 80 projects are available on portfolio section. Please take a look at our portfolio to discover samples of our latest work. Have your say / Express yourself!